Whilst presenting a perfectly classic dress watch, the Tonda 1950 features an automatic movement with a 42 hours power reserve. 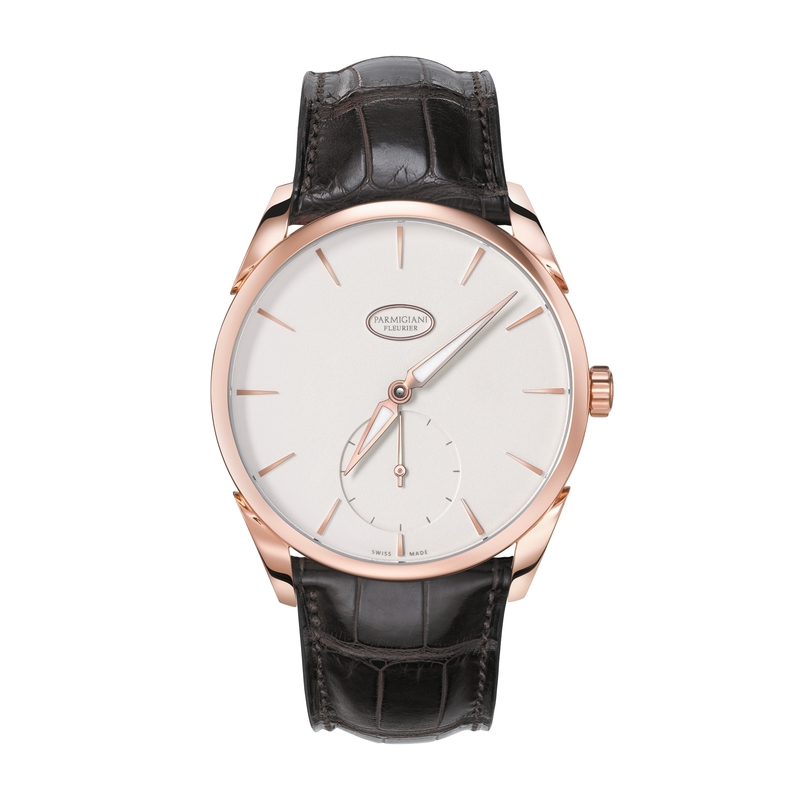 The 18 ct rose gold case embraces a grained white dial and delta shaped hands with luminescent coating. The indices are presented as rose gold appliques, the small seconds can be found at six o'clock. The Havana coloured alligator Hermès leather strap with pin buckle adds the finishing touch.